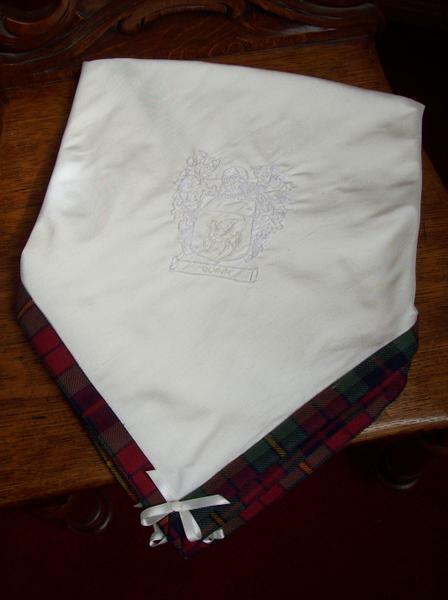 This shawl is guaranteed to provide the finishing touch to your baby's baptism day. 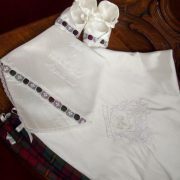 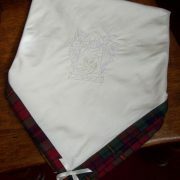 Created from 100% pure silk dupion, the shawl has been delicately edged with the tartan of your choice. 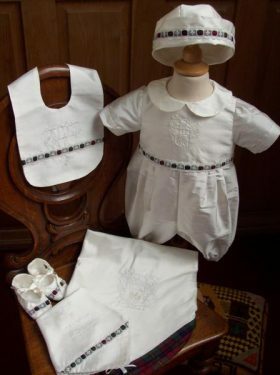 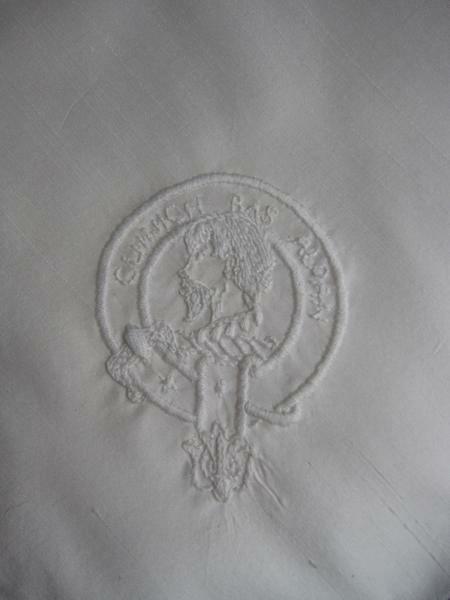 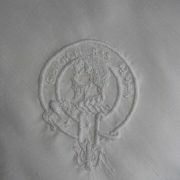 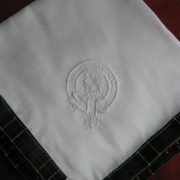 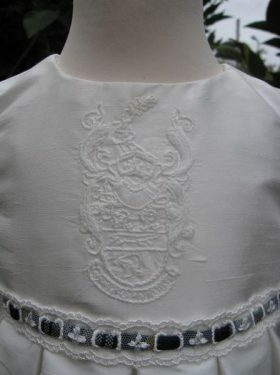 Your clan crest, shield or coat of arms is then hand embroidered onto the silk creating a unique and personal lasting heirloom for the family. 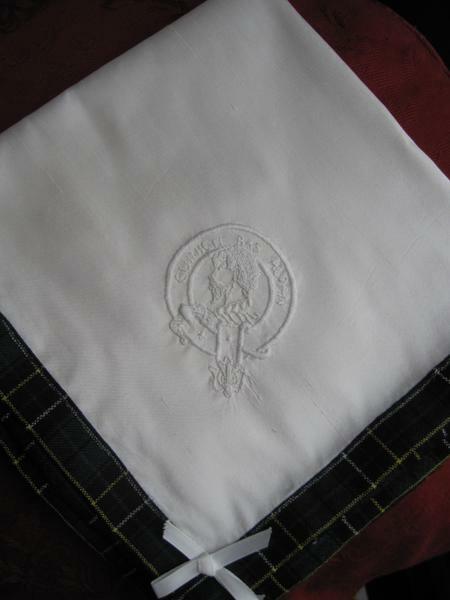 The shawl can be created from every tartan available and of course can be decorated with every clan crest, shield or coat of arms. 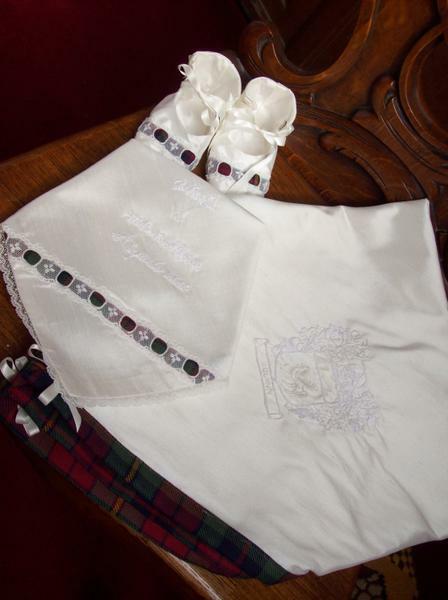 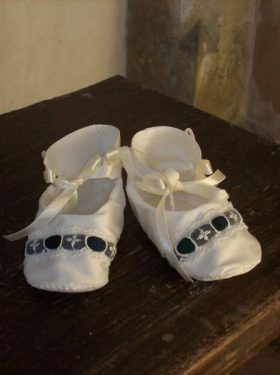 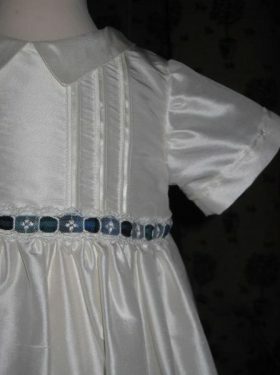 This Christening Shawl is a luxury item, guaranteed to become a family heirloom as well as creating a beautiful finishing touch to your chosen outfit.